Cracked or broken iPad screen? Live outside New York? Our New York service center accepts mailed in iPads for screen repairs from all around the US with same day service and free return shipping. Screen cracked? We fix that, the same day. 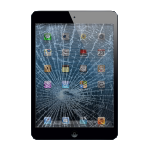 We offer same day service on all iPad repairs. We use original parts. There are many aftermarket parts available on eBay & Amazon, but we prefer using top notch, original quality parts. Send us your iPad by Post, Fedex, UPS. You pay to ship it to us, we’ll ship it back to you for free. Include the order number from your receipt, or a printed copy of your receipt inside the box you ship your device in. Find more detailed shipping instructions here! Monday to Friday 12 PM to 8 PM. Weekends 12 PM to 4 PM EST time. **Warranty does NOT cover physical or accidental damage of any kind.